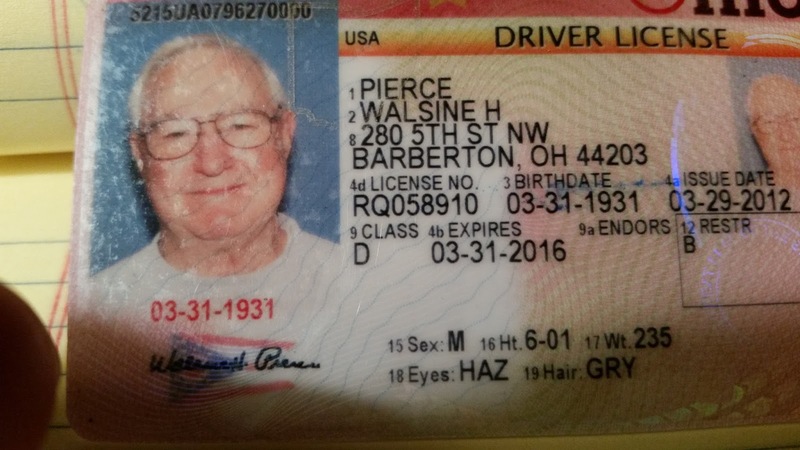 I was only 15 when I drove alone to the police station to take my driver's test. As I parked on the wrong side of the street, a police car pulled in behind me. I told them I was there to take my driver's test. Would you believe, they simply told me to go home and bring my Dad with me the next time? 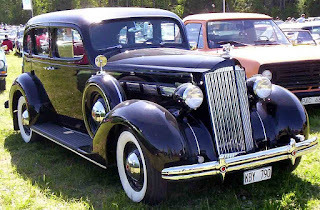 The 1937 Packard I drove in High School had the fenders all but rusted off. Under the floor mat, the floor was wood, and, right on top of the muffler, it would smoke. I carried water to put out the fire. I left the car at a square dance in Ohio when I ran out of gas the same time that my folks came home from NE Ohio and asked where the car was. Car gone bye-bye. 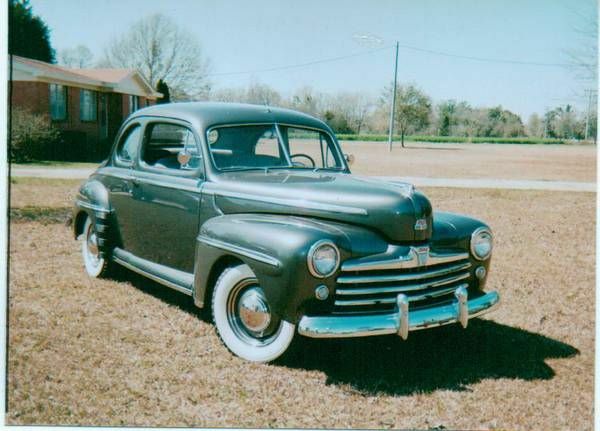 I bought this exact 1947 Ford in 1952 when I got out of the Navy. 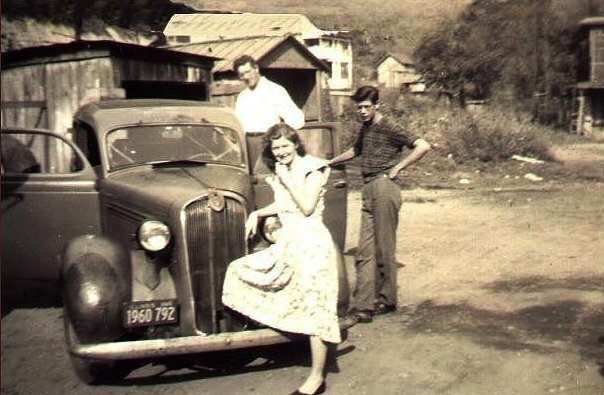 It was a "hot" car with a 100 HP instead of the 60 HP engine. It is truly a wonder I did not kill myself in that car as I skidded it around every curve. I still had problem running out of gas, a few times under embarrassing situations. After my 1947 Ford, I bought a used 1949 Ford and a used 1954 Plymouth. 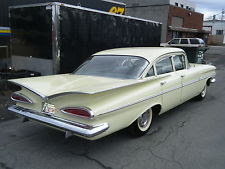 The 1959 Chevy was my first new car. You know what is so amazing about buying that new car? It cost me $2,150 tax, title and out the door. I paid more than that for my trike! The trunk in this big fin car was so big I could lay my 6' 2" frame down in it and not touch the sides. I continued buying new cars, switching to new Lincoln Town Cars in the 80's. Since retiring some 25 years ago, we started buying used Lincoln Town Cars with good bodies and low mileage. Presently we are looking to replace this one. In addition to the Lincoln, my wife drives a small Lexus. 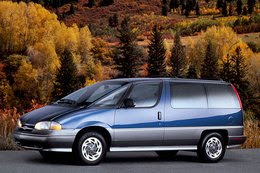 I drive a Chevy van, which I love. The van has a fiber glass body and will never rust. I mostly keep ahead of maintenance making repairs before needed. We've had opportunities to replace it but I want to keep it. It will be an antique in just 3 more years, just like me!